Birds’ Eye View is an organisation that promotes the work of women film-makers and addresses gender inequality in the film industry. This year, they have launched ‘Reclaim the Frame’, a four-part film screening series across 5 cities and 6 cinemas in the UK that is pushing to promote new works by women filmmakers. 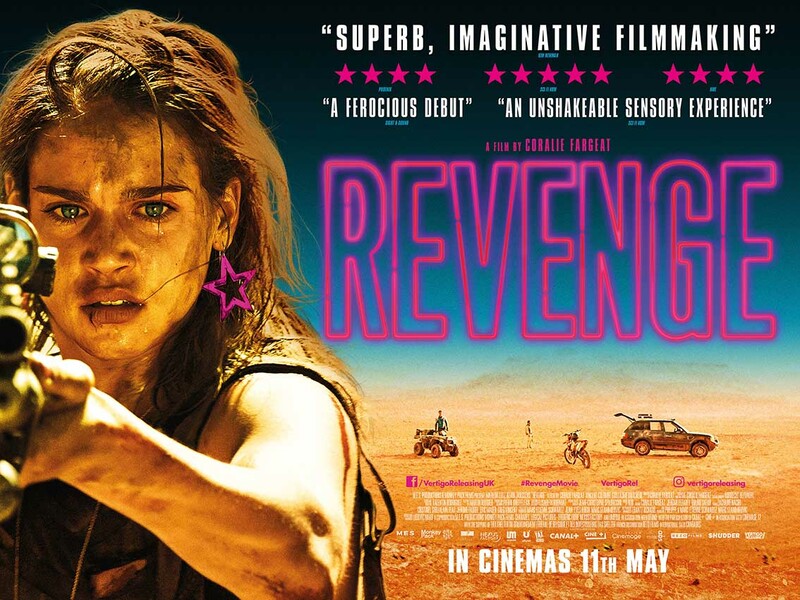 Join the conversation with the hashtag #RevengeMovie and follow director @coraliefargeat and lead actress @matildalutz. Keep up with future Reclaim the Frame screenings by following @birdseyeviewff, #ReclaimTheFrame and subscribing to their mailing list.